Matabeleland North is a province in western Zimbabwe. 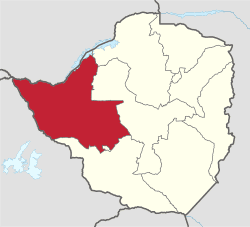 It borders the provinces of Midlands and Mashonaland West to the east and northeast respectively, and the province of Matabeleland South and the city of Bulawayo to the south. 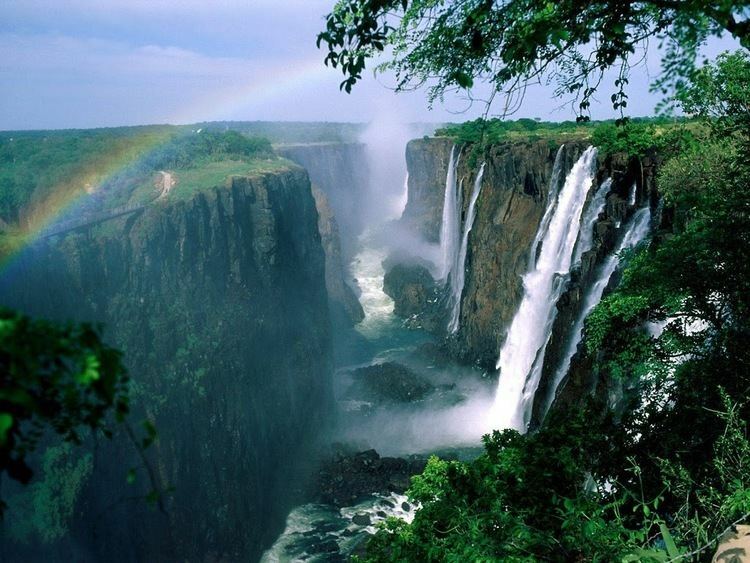 Its northern border is defined by the Zambezi river, while its western border is shared with the country of Botswana. It has an area of 75,025 km² and a population of 749,017 (2012). Lupane is the capital of the province. Hwange and Victoria Falls are the only towns in this province. The province gets its name of Matabeleland from the ethnicity of Matabele (Ndebele) people who inhabit the area. The province of Matabeleland North was created when the former province of Matabeleland was separated into Matabeleland North and Matabeleland South in 1974. In 1997, the province underwent another territory change when the province's former capital city of Bulawayo split from the rest of the province. The region of Matabeleland, of which Matabeleland North is a part of, is characterized by generally inhospitable land when compared to other parts of Zimbabwe. It has lower rainfall than provinces such as Mashonaland, and is plagued by water scarcity in general. The land is also less fertile than other provinces, as commercial crops cannot be grown and rural farmers usually cannot produce enough maize to feed their families. However, during the colonial era, large numbers of cattle ranches were formed and cattle ranching has proved to be more successful than growing crops in the province. The upper reaches of the Nata River flow through Matabeleland North before entering Botswana to discharge to the Makgadikgadi Pans. The region does have a significant amount of other resources like gold, limestone, methane gas, coal, and timber. As seen in Hwange National Park, Zimbabwe's largest game reserve, the area is also known for its substantial wildlife population. However, the most famous geographic feature of Matebeleland North is Victoria Falls, the world's largest waterfalls that are located on the Zambezi river on the northern border of the province. The region is regarded as a very independent region when it comes to politics. In the most recent parliamentary election held in March 2008, both factions of the MDC won a total of eight seats from the Matabeleland North delegation to the House of Assembly, while ZANU-PF won four seats and one other seat was won by an independent. In the Senate, the MDC won a combined five seats and ZANU-PF won one seat.